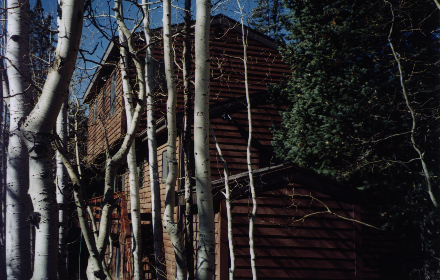 BIG COTTONWOOD CABIN: call 1-US Ski Loding today! This modern 2300 square foot mountain home with 2 living rooms, 3 bedrooms plus loft & 2 bathrooms. This is one of the nicest homes in the canyon! Located 11 miles up in Big Cottonwood Canyon, just 1/2 mile from Solitude and 2 miles from Brighton ski areas. This homeoffers a fabulous mountain setting, with all the amenities of home. No homes or buildings in sight! Elevated deck with private hot tub.